Make this Easter even more exciting with this dinner for four. 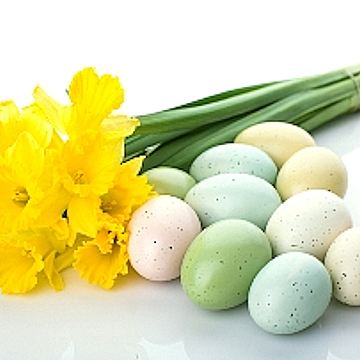 Your gift recipient will receive an elegant voucher with a list of Easter dinner options to choose from. Click Here To View Voucher. FLOWERS AND EGGS NOT INCLUDED. Your recipient will be able to order Ham, Turkey, Shrimp or Filet Mignon. That's just the beginning. When they logon to redeem their voucher, we will also include a beautifully prepared dessert to complete their wonderful meal. This purchase gives them the option to choose the meal they want, and be able to select a delivery date convienient for their schedule (ground shipping dates and schedule apply). 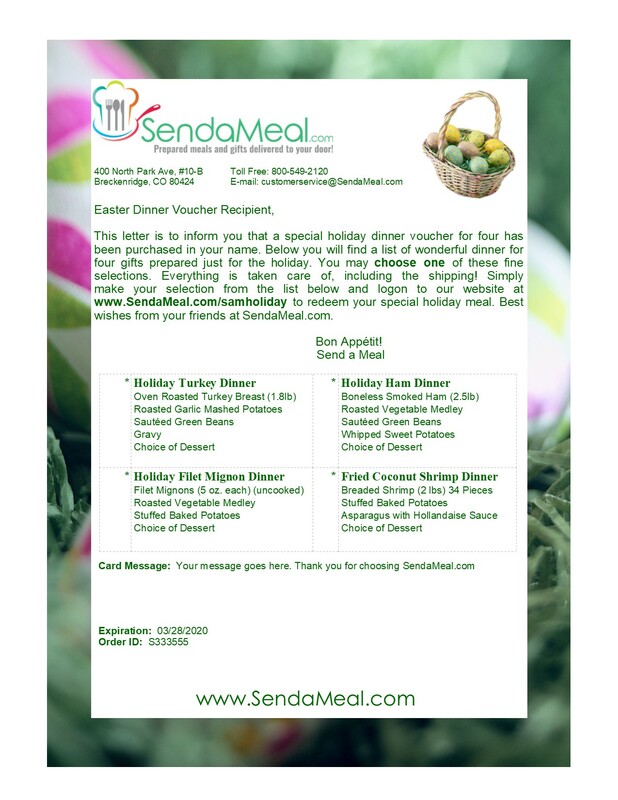 This meal voucher gift will include complete instructions to your recipient on how to redeem their meal. The instructions come with four (4) menu items to choose from. Each meal includes entree, sides and their choice of dessert. The price is all inclusive so your recipient does not have to pay any additional charges.